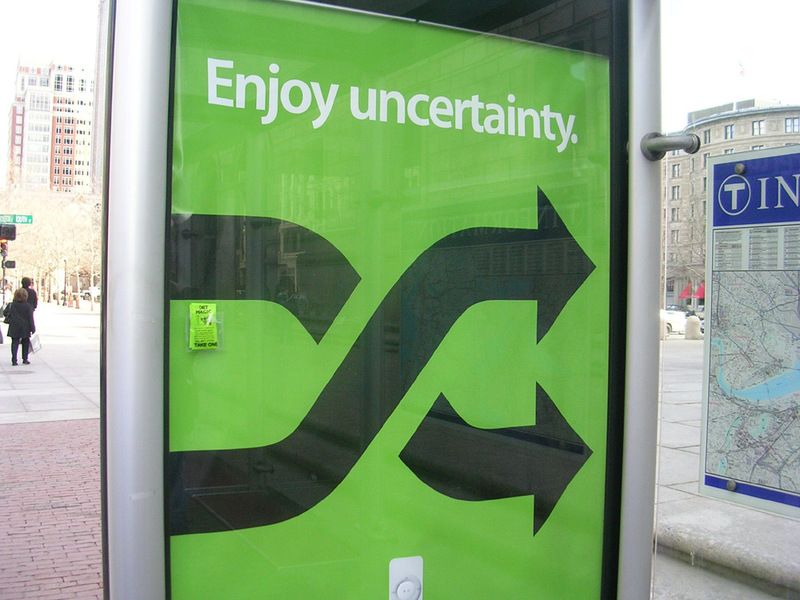 Uncertainty continues to haunt modern economics. That’s what Jack Amariglio and I argued back in 2003, in Postmodern Moments in Modern Economics, when we noted a particular irony that has characterized much of modern—late-nineteenth- and twentieth-century—economics. On one hand, certainty has been an important characteristic of modern economists’ conceptions both of the economy and of the role of economics over the course of the last one hundred years. Oscillations have taken place, especially back and forth between neoclassical and Keynesian economists—on matters of both theory (from microeconomic approaches to macroeconomics and now back again) and policy (from free markets to more state-centered approaches to the current celebration of markets). Yet, the confidence and self-assuredness (some might say “arrogance”) expressed by participants on both sides of the debate seem to have been guided, at least in part, by the presumption of certain knowledge (or, at a minimum, the possibility of such knowledge) predicated on a distanced, objective cognitive relation to the world.It might also be argued that the precise limits of those oscillations—of the theoretical positions and policy options that have been allowed into the debate—have been based on the modern “episteme” of certain knowledge. On the other hand, economists have both witnessed and (even more important for our purposes) been active participants in the movement to study the phenomena of randomness, risk, probability, and uncertainty, especially from the 1920s and 1930s onward. Much like their counterparts in other areas of modern culture, from physics and biology to art and literature, economists set out to “explore,” and in some cases to “conquer,” the hitherto unknown “continents” represented by uncertainty and related notions. It was precisely the modern spirit of “economic science”—the certainty that, by wielding all of the instruments available in the economic “tool-kit,” they would be able to record empirically and formulate theoretically the immutable laws of economic behavior—that led to economists’ “discovery,” and hence knowledge of, uncertainty, probability, and the like. In this sense, the “normal” functioning of the modernist protocols of economic science can be credited with having given rise to the preoccupation with the “rules of chance” on the part of contemporary economists. In our view, G. L. S. Shackle and John Maynard Keynes produced notions of uncertainty and probability some of whose effects were inconsistent with and ultimately could not be “controlled” by the modernist protocols within which they were produced. And it is these elements of “undecidability” or “indeterminacy” that threaten to overrun the boundaries of modern economics and that, therefore, represent the postmodern “moments” of uncertainty. We are witnessing, in the recent contributions on uncertainty (in the MIT News and in Paul Davidson’s rebuke to Stiglitz), exactly the same irony. The question, then as now, is whether economists will domesticate the effects of uncertainty or allow them to flourish, thereby destabilizing and moving beyond the methods and protocols of modern mainstream economics. I am curious to find out what blog platform you have been utilizing? I’m having some minor security issues with my latest site and I would like to find something more safe. Do you have any recommendations?